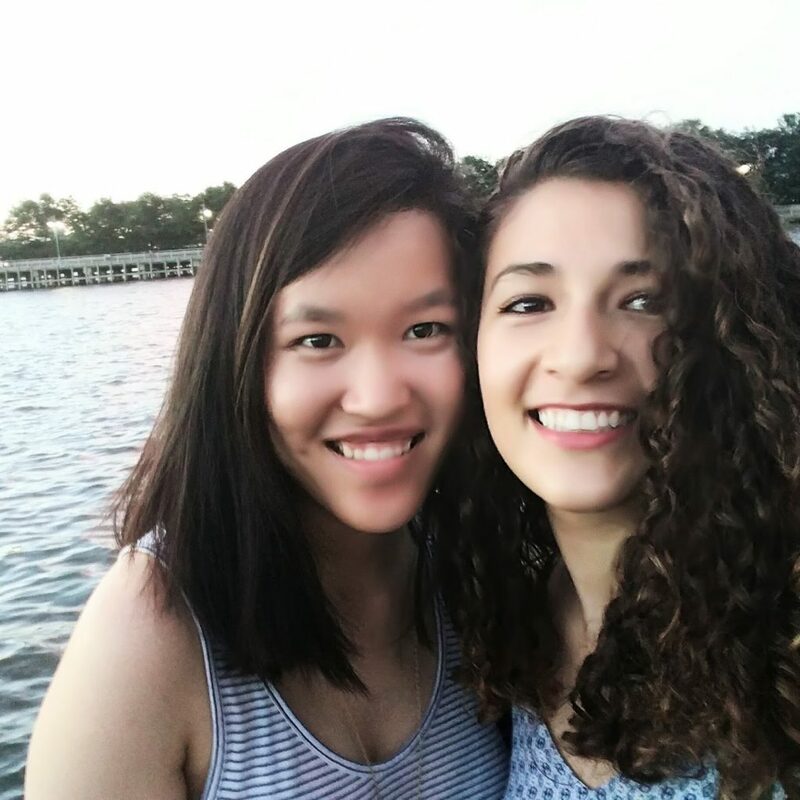 I grew another year older, and to commemorate, I thought I would write a similar post to the one I wrote when I turned 22. So here goes - 12 moments, one per month, of the year I was 22. Though May 2017 ended rather shakily, my life became a lot better rather quickly. My friends showered me with love on my birthday and then another beloved person came to visit on one wonderful weekend. We explore New York and see a Broadway show. We don't talk enough, but I love her to bits and she is one of the first people I think to talk to, both when I have joy or if I need to vent. I visit one of my best friends in San Francisco for the long weekend. The last time I saw her was in February, and it's definitely been too long. Her and her partner are two of my favorite people in the world. 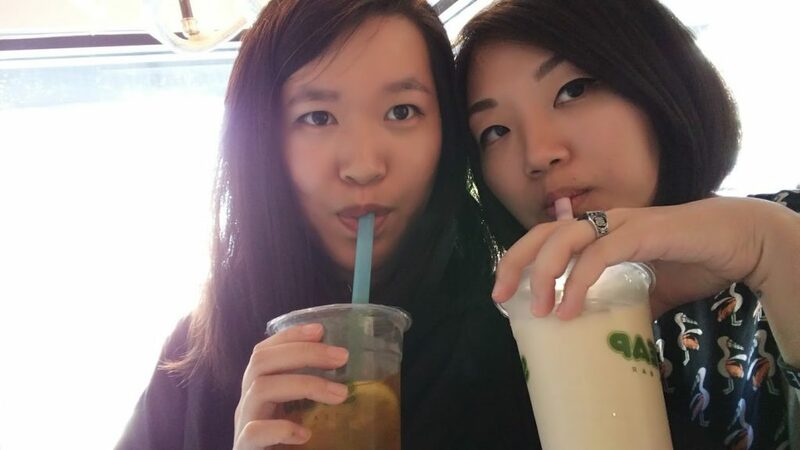 We hang out in Stanford, where she is pursuing a higher degree, drink boba, visit the SFMoMA, and escape an escape room. The horrible red-eye I took back to New York and straight to work is totally worth it. 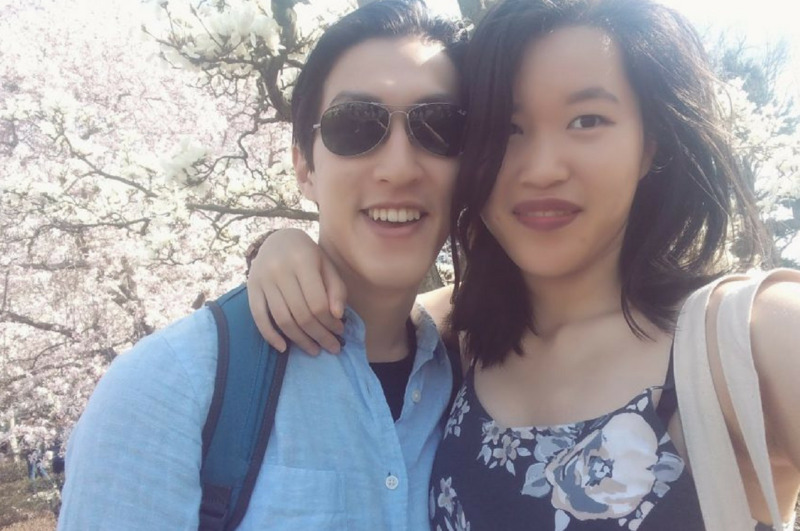 I got surprisingly lucky when I tried out online dating in late June - this one had some pretty funny captions under his images, and I ended up not having to go on any other dates with random internet people, which pleased my introvert heart greatly. 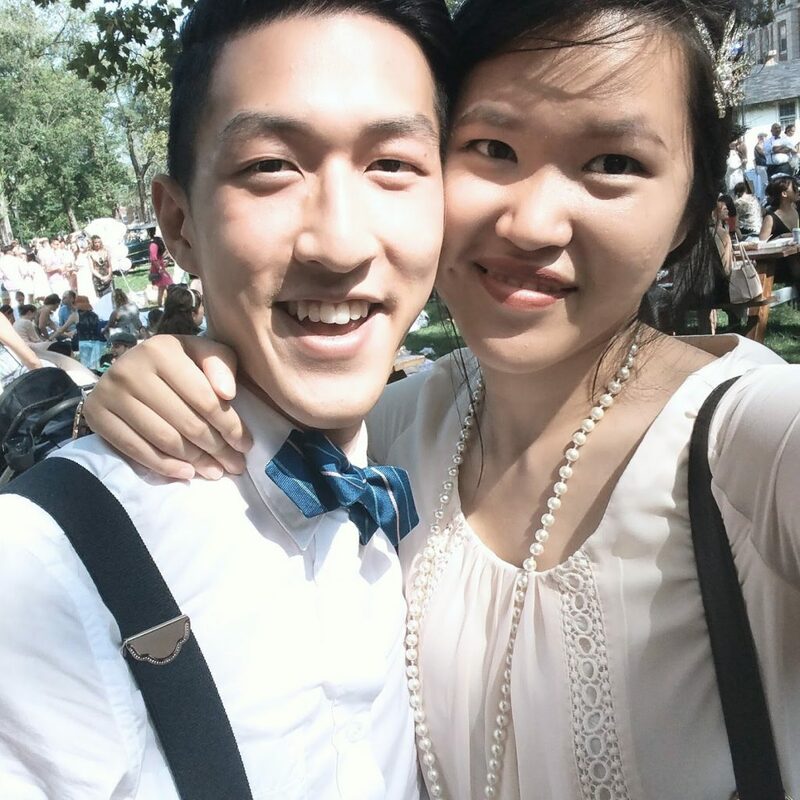 We went to a 20's party with some of his friends on Governor's Island, which was quite fun. I made fun of him after he told me he took a lot of his first dates here to hang out on the hammocks. It's okay though, cause he's mine now. Heh. 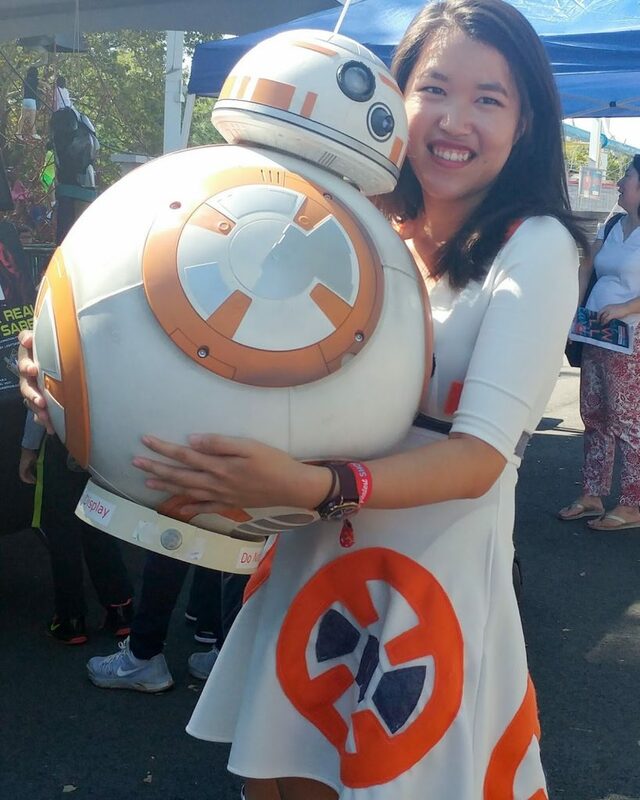 We went to MakerFaire for one of the weekends, and on the second day, the droid booth had a BB-8. It just so happened that I was wearing my BB-8 dress, which I had made by carefully sewing felt cut-outs to a thrifted white dress. I was very excited. The droid club people were also excited. They let me hold their BB-8, which had a Do Not Touch sign on it, and my life was made. I attempted and completed a full month of drawings for Inktober, although these were rather simple to do. At the end, I wrote an accompanying blog post about my relationship with food and my disordered eating. It was a really great experience, drawing-wise, and it led me to want to commit even more to drawing more regularly. My relationship with food is still TBD, although I think I'm getting better at managing it. The tools I used for my Inktober drawings: a copic fineliner and a cheap Michael's Artists Loft sketchbook. 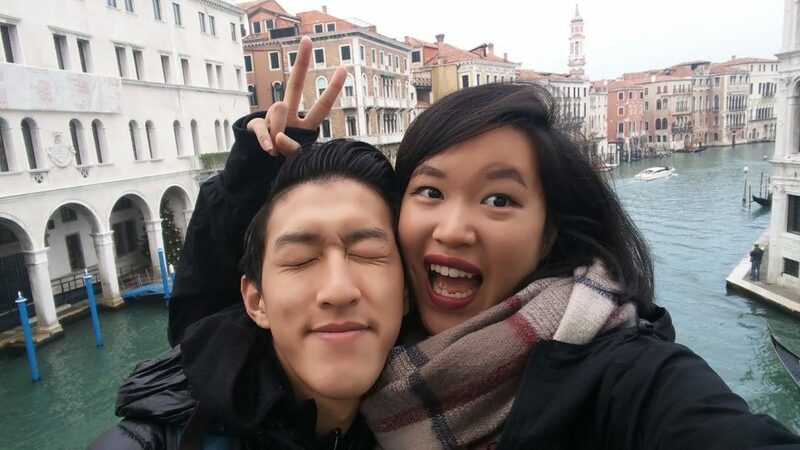 I travel to Italy with my S/O, where we eat some amazing food, gorge ourselves on gelato, and take in the sights. We walk up 463 stairs to get to the top of Florence. I sketch wherever and whenever I can, trying to take up the least amount of time so that we can continue exploring. We finish the trip exhausted but full of joy. The main drawing tools I brought with me to Italy, that I loved: another Michael's Artists Loft sketchbook, a travel watercolor palette, and my trusty TWSBI fountain pen filled with Noodler's Lexington Gray. 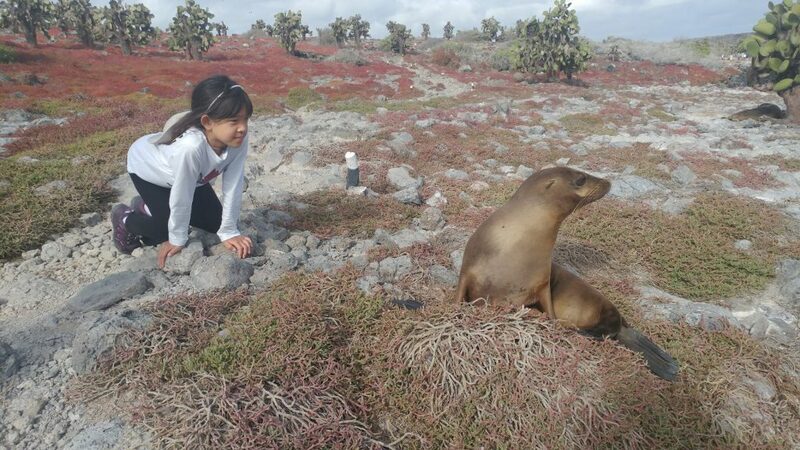 I had the incredible privilege of getting to go to the Galapagos with my family, and got this adorable shot of my tiny sister with a tiny sea lion. I got to swim with sea turtles and sea lions, and saw a lot of blue-footed boobies up close. 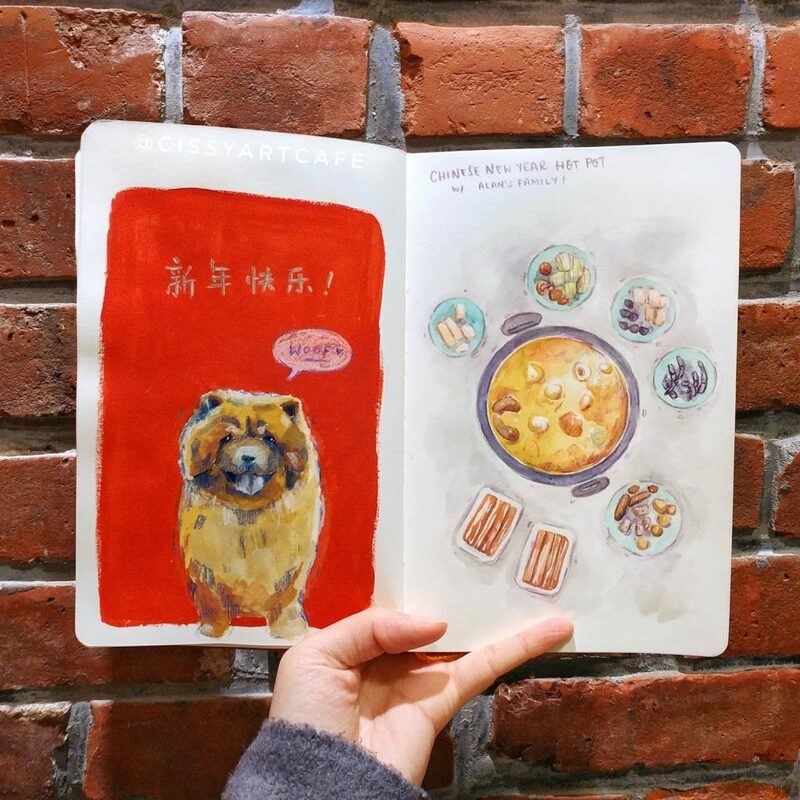 I try my best to journal every day, with quick watercolors of the pictures I take on our adventures. I leave with a greater appreciation for nature and the ability for species to continue to survive. The main drawing tools I brought with me to the Galapagos: a surprisingly sturdy blank Traveler's Company insert, a Uniball Signo DX 0.38 gel pen, a travel watercolor palette, and my trusty TWSBI fountain pen filled with Noodler's Lexington Gray. Though I technically created this in December, I would be remiss to not include this in a snippet for this past year of life! After the original of this tracker blew up on Instagram and Facebook, I took the plunge and started my very own Etsy shop. After I bought a ridiculously large fancy printer, I was able to expand the stuff I make. 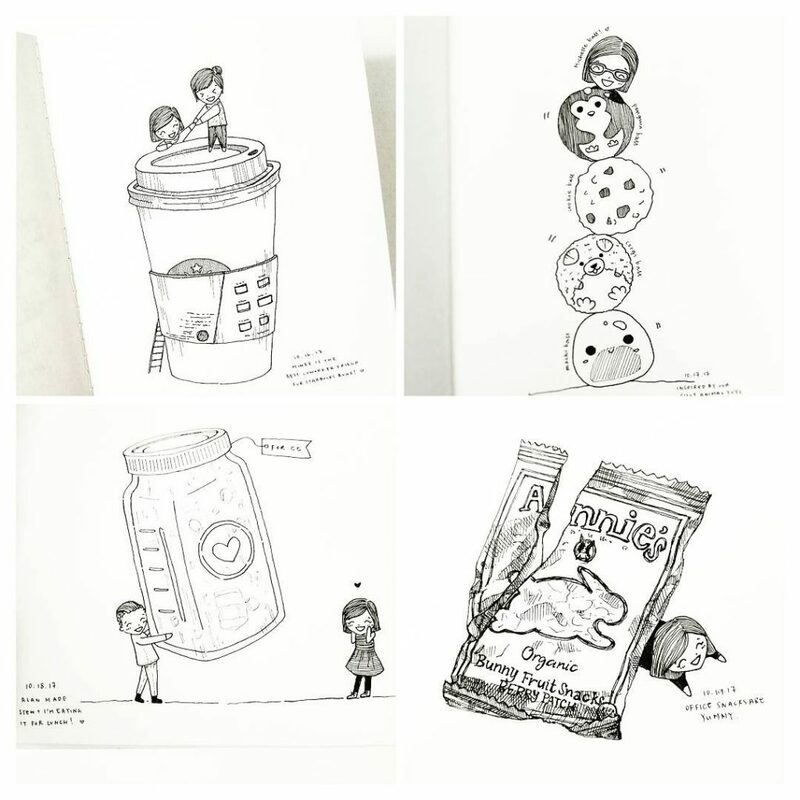 Now I offer art prints, greeting cards, bullet journal printables, custom art, and more... and I'm excited to keep adding to the variety of products I can make all by myself! 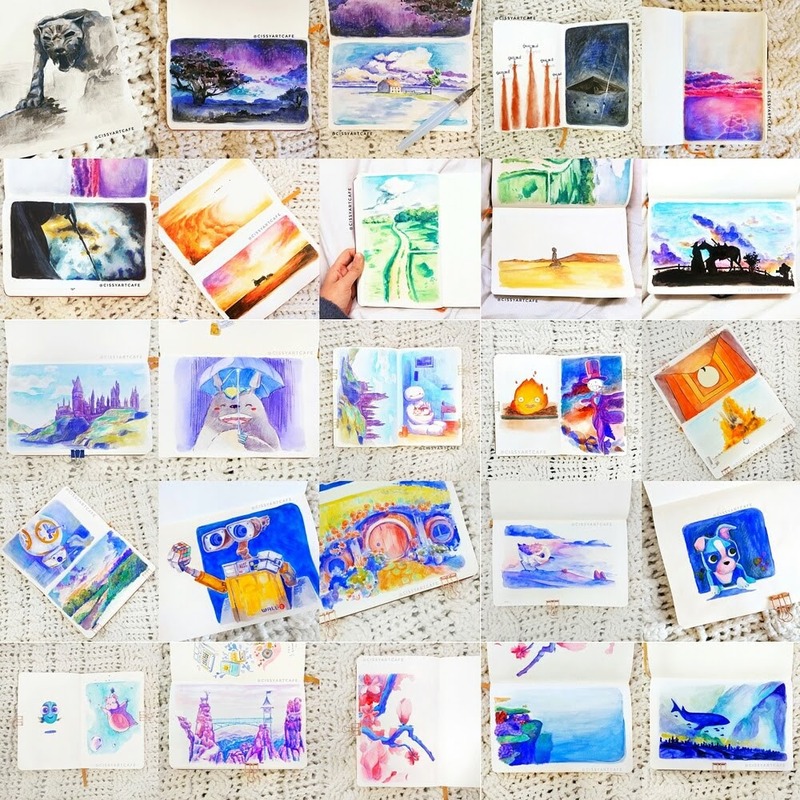 The best thing about committing to this Etsy shop, however, is the odd connections I've made through social media and the continued drive to continue creating more and more artwork. I hope you love the stuff I make as much as I do. It's the month of Lunar New Year, and I fall more in love with my S/O's adorable mother as we visit her and his dad for the occasion. We eat more than our weight's worth of hot pot, and we go to bed happy. I paint a cute puppy, because it's the year of the dog - which means my year (I'm a gold piggy) is coming up next! Tools I used for the art in this picture: a Global Art Material's Large sketchbook, some gouache, a watercolor set, and some colored pencils. Just for fun, I challenge myself to paint a movie scene every day for the month of March. To my own surprise, I succeed in the endeavor - and though I thought I started off well, my skills visibly improve as the month goes by. I am absolutely in love with how some of them turned out, and I itch to start another daily painting challenge. A few days into April, I started #The100DayProject. It's still ongoing, and I'm having a blast. You can get art prints or cards of my favorite movie scene paintings, and more, in my Etsy shop. April means the weather in NYC is finally starting to slowly warm up, although temperamentally. We take the opportunity to hit some of our favorite nature spots in the city: the Brooklyn Botanical Gardens and the New York Botanical Gardens. I love that this city has pockets of nature hidden within it as refreshing respites from the bustle of the concrete jungle. While the NYBG is a little bit of a trek, we get a dual membership to the Brooklyn Botanical Gardens so we can have access to the flowers year round, and to add our little contribution in thanks to all that the Gardens do for the borough we reside in. We take a weekend trip with my S/O's family to the Poconos in Pennsylvania, where we take in the nature and spot deer by the airbnb we stayed at. The deer excites me more than him or his family, likely because I grew up in a city and he grew up in the suburbs. 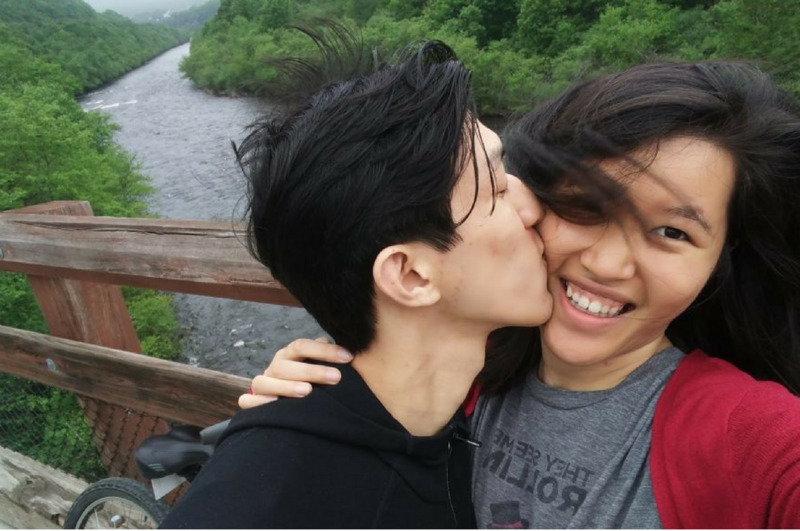 We go biking along Lehigh Gorge, take in the gorgeous scenery, complain about the lack of food diversity because we've become spoiled by New York City, and have a blast at the waterpark nearby before heading home. And so, I am now 23. I had an incredible birthday weekend - surprised with an edible arrangement from my mom and sister at work, spoiled by the presents given to me by the people around me, stuffed with all the food my S/O can think to buy for me. While the past year has had its ups and downs - I lost a few friends but gained another - I am so happy to be entering another year of life with the exact people I have around me. Here's to another year - of memories, of stronger friendships, of new endeavors. Let's make it a great one. While you might be unsure about purchasing from my Etsy shop, you should sign up for my newsletter! I send a recap every month, along with a discount code you can use infinitely, and the password to my Freebie Library. I just added a new printable calendar for the month of June! It's got a corgi on it.